The photograph above was taken by George Washington Wilson on one of his visits to Edinburgh in the 1860s. 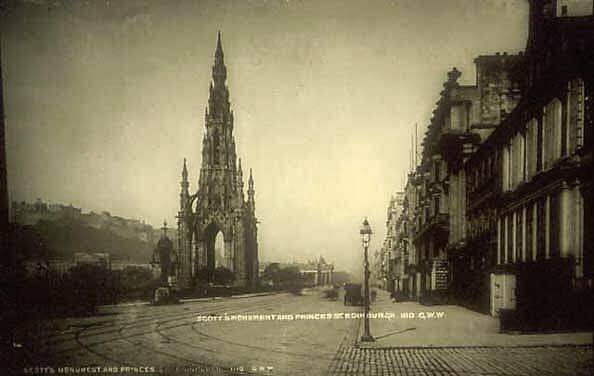 The view looks along Princes Street towards the Scott Monument with the National Gallery of Scotland in Princes Street just visible in the background in the centre of the photo. The vehicle parked on the North side of Princes Street, behind the lamp post is GW Wilson's van.